Tomorrow's advertisers will be spoiled for choice with IoT and connected cars providing new and innovative marketing opportunities. Have you been listening to the radio in your car? Well, if you drive a GM vehicle, the company could have been paying close attention to you over the past three months. Are connected cars the next digital billboards? According to local media, GM used in-car Wi-Fi to track the habits of some of its drivers in hopes of seeing whether there is a relationship between what drivers listen to and what they buy. 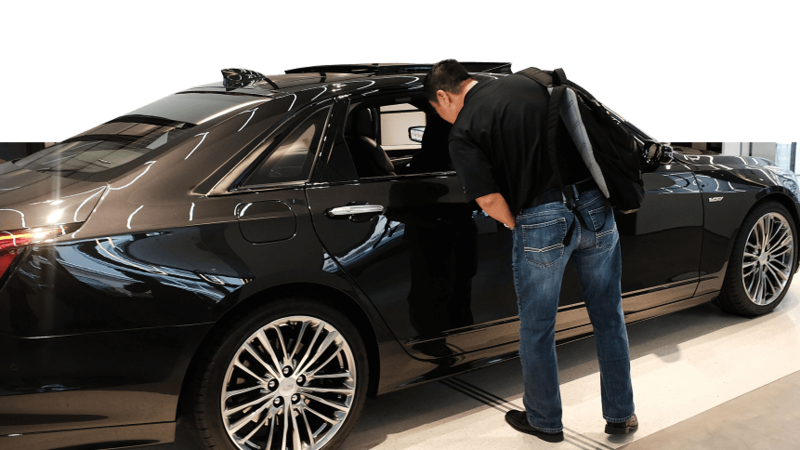 And while the company agrees that the idea is completely theoretical for now, studies could definitely provide insights that help the company monetize the in-car radio experience its drivers and passengers enjoy. 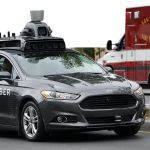 The company approached a hundred thousand drivers in Los Angeles and Chicago recently who agreed to participate in the proof of concept study — a first of its kind by an automotive company of this scale in the United States. “Current ratings systems rely on diaries or Personal People Meters, which have many limitations, including small sample sizes. Connected radios generate data that could allow for more radio markets to be measured and provide other valuable insights,” said GM Spokesman Jim Cain. 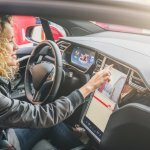 The truth is, although GM seems to be the torchbearer when it comes to making efforts to understand driver’s reactions to in-vehicle entertainment, the environment is something every automaker will be monetizing in the future where connected cars and IoT dominate the customer experience. California-based Telenav, for example, has been working with several automakers for the past year, trying to create the perfect in-car advertising platform to leverage the infotainment system available in new-age connected cars. It aims to enable automotive OEMs to generate revenue by delivering ads to cars in a safe, user-friendly, and contextually-relevant way. From a context and value perspective, relevant ads such as coupons and recommendations are delivered to customers based on information from the vehicle, including frequently traveled routes, destinations, and time of the day. As an example, drivers can be encouraged to pick up a discounted pizza on the way home or be alerted to sales at stores near their destination. In addition, when the vehicle is low on gas, the platform points out nearby stations along the driver’s route, potentially with discount offers. “Connected, intelligent cars provide OEMs with new opportunities to roll out innovative features and services. This helps monetize connectivity to cover service costs and even drive healthy profits while enriching the consumer experience with safely-delivered, engaging, and relevant offers,” said Telenav CEO HP Jin. So, whether GM does it themselves or automakers partner with third-party developers like Telenav, tomorrow’s cars will have more targeted advertising. Not only is that an opportunity for those in the auto industry, but also for every marketer. Tomorrow’s campaigns will be more location-specific, targeted, and measurable.